The Scharffen Berger Chocolate Maker factory in West Berkeley (pictured above) will close this year, according to the Hershey Company, which bought Scharffen Berger in 2005. The Scharffen Berger Chocolate Maker factory in West Berkeley will close its doors this year, its corporate owner The Hershey Company announced Tuesday. A total of 150 employees at Scharffen Berger and another Hershey-owned factory in San Francisco will lose their jobs, according to Kirk Saville, spokesperson for Hershey. "We are consolidating production into our existing U.S. manufacturing network, this includes our facility in Robinson, Illinois, where the majority of our Scharffen Berger items are currently made," he said. The announcement of the closure comes almost two weeks after Xoma Ltd., a Berkeley-based pharmaceutical company, gave notice that it will lay off 144 of its 341 employees. Michael Caplan, the city's economic development manager, said that although Berkeley has large employers like the University of California and Bayer HealthCare, it is not immune to national economic conditions. "The wide range of firms are still part of the broader economy and part of the market pressure," Caplan said. "That means that cost-saving measures such as employment reduction will inevitably occur and have occurred." "It's obviously a big loss for West Berkeley and we're very sorry to hear the news," Caplan said. "The other side of it is that it has nothing really to do with Berkeley; it's owned by Hershey's, so what's happened to them was a corporate decision out-of-town." 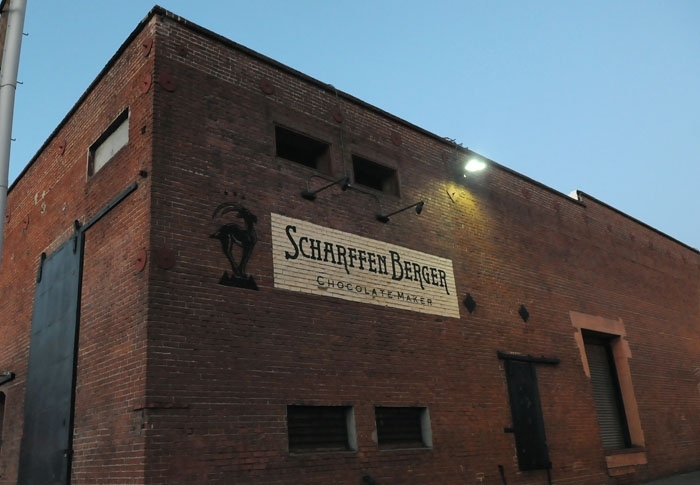 The Scharffen Berger company began when John Scharffenberger, a 1973 UC Berkeley graduate, joined his former physician Robert Steinberg in a chocolate-making venture. From Steinberg's kitchen, the two tested nearly 30 types of cacao beans and produced their first chocolate in 1996. Using vintage European equipment, they made the first batch of Scharffen Berger chocolates in their San Francisco factory. In May 2001, Scharffen Berger moved to a larger brick and mortar factory in Berkeley and was purchased by Hershey in 2005. Lisa Diplacido, regional retail manager for Artisan Confections Company, which markets Scharffen Berger chocolates for Hershey, noted the factory's premium manufacturing methods. "Very few people go to where cacao is actually produced ... and make the chocolate from start to finish," Diplacido said. "They really brought the artisan dark chocolate market to the U.S."
Scharffen Berger chocolates will still be sold at its Ferry Building store in San Francisco and at its factory store in Berkeley. "We will maintain the highest quality standard for all our artisan products," Saville said.